The desert north of Las Vegas was sweltering, broiling, intolerable. In front of me, brake lights and stopped cars for miles—construction. Above, the night sky taunted me. It was after dark but the air was a parching 104F, and I was trapped in a cockroach-sized lozenge of a sportscar whose A/C had given up the ghost, squirming in the heat and bombarding the irradiated desert with new-minted curses. No pilgrimage is necessarily comfortable. Back in the day, self-flagellation and hair shirts were the norm for that sort of thing. I had faith, though. Faith that the 2016 Mazda Miata ND was going to be worth the pain. Faith that 2800 miles through the best and worst of the American west would reveal something immutable and true about all Miatas, and I could use this hard-won knowledge as a yardstick to measure the ND. Also, I'd get a wicked farmer's tan. 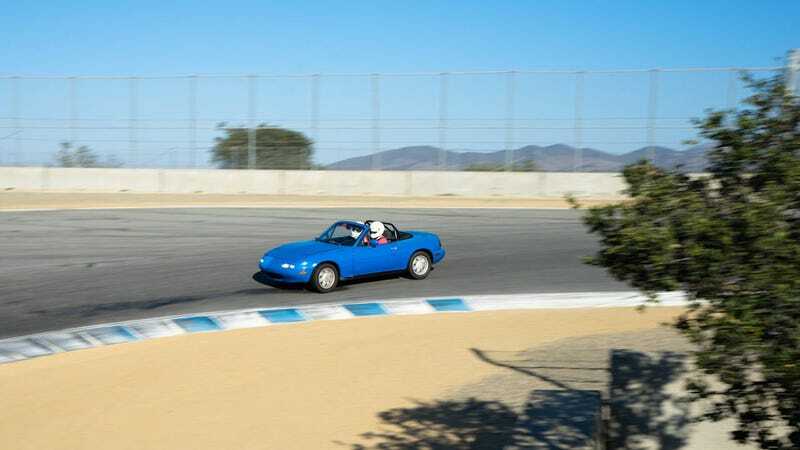 The pious can read about the journey, and the curious can read about the 2016 Miata. Those questioning their commitment to the jinba ittai religion can comment below. How Do Top-Tier Race Cars Compare On-Track?